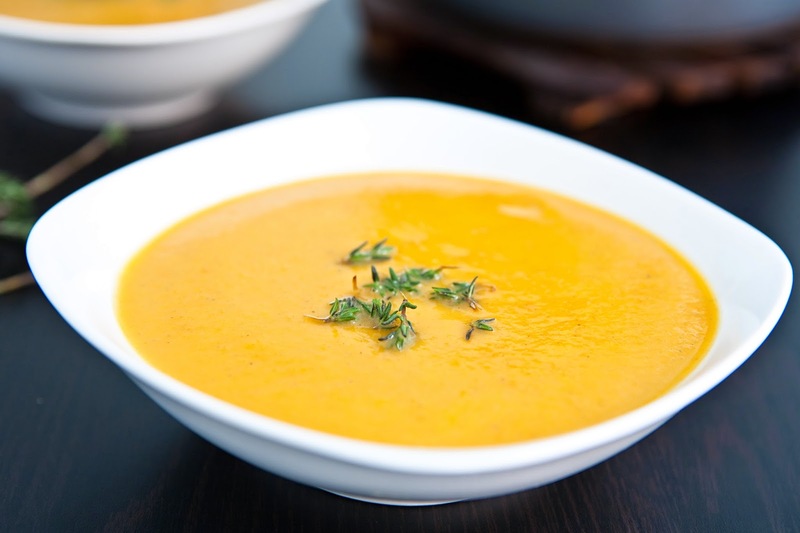 Who doesn't love to cozy up with a warm bowl of soup on a chilly fall day? -- Preheat oven to 450F. Peel and deseed squash and chop into about 1-2 in. pieces. Spread out into 1 layer on a baking sheet lined with parchment paper. Bake for 20-30 min. till fork tender. While squash is roasting, sauté onion in a 5 qt. pot with a few T. of water till translucent. Place sautéed onion, curry, cumin, onion powder, 2 c. of water, and lime juice in Vitamix or other high speed blender. Start blending on low and work up to the highest speed. Add more water if needed to reach desired consistency. Blend till smooth and thick and creamy. If you have a lot of squash, blend in 2 or more batches. Pour blended soup back into a 5 qt. pot and heat on Med. to Med./Low (depending on your stove). Add chopped fresh cilantro and adjust other seasonings as desired, stirring occasionally. Serve when desired flavor is reached. Enjoy! - Careful to not add too much lime. I find that 1/2 a lime works well even if the recipe is doubled. -Don't have butternut squash? Substitute the squash for about 3lb. of sweet potatoes or steamed carrots for a delicious new twist on this recipe! - I love this soup served over freshly steamed white rice and steamed vegetables and romaine lettuce leaves to dip!